In honor of Honey in Your Heart, the latest jewel in mary anne radmacher’s outrageously creative and prolific career, I sat down with mary anne (yes, she’s a lower case girl) and had this delightful conversation. I asked her a few qustions about how life can be sweeter when we feast on the honey that is already there, in the only place it can be–our heart. 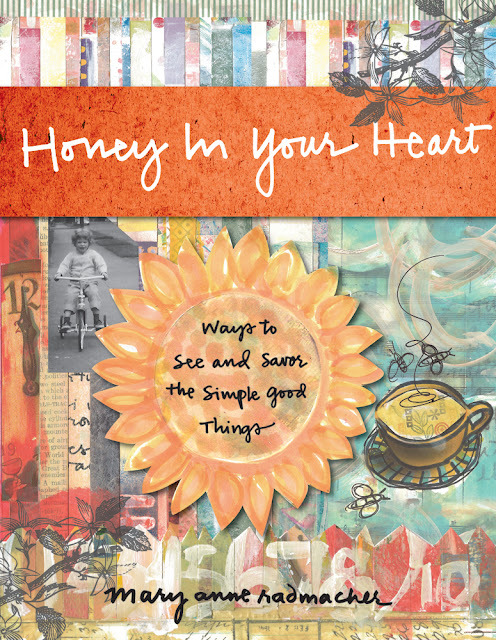 Janet: In Honey in Your Heart, you talk about “ways to see” being essential to creating space in the heart for life. And you offer us many ways to do just that. But I’m wondering, now that you’ve written the book, how has this awareness of seeing and creating space continued to expand for you? Have you stumbled upon any new and perhaps slightly surprising ways to see? mary anne: After recording ( for a solid six months) every time I experienced a little, “Yay,” – that heart lift that occurs when something sweet has happened – I find I mentally note such things. I still DO write them down, but I don’t need the discipline of writing them down in order to see them. The awareness HAS expanded my capacity in a rather unexpected way. In the midst of challenge, or circumstances that feel as if they have gone “sideways” in an undesirable way, I am able to see the potential. The potential for joy, for good, for positive outcomes. Many of the long term YAYs in my life have come out of a short term YUCK. In a practical way, recognizing the truth of this – that goodness often comes out of circumstances that don’t feel or seem good – has given me a higher level of perseverance. Janet: I love your call to celebrate. Our society has relegated celebrations to a few calendar holidays wrapped in obligation. Most of us forget to celebrate the morning, our kitchen, soft pajamas, hot water, a good book. Can you share a simple sweet celebration that meant a lot to you? mary anne: I schedule one day, every once in awhile, that is just dedicated to FUN – CREATIVE – Just delightful to me – projects. I asked three of my buddies what their current favorite quote was. And then I incorporated that quote into a set of small notecards, packaged them up and put them in the mail. THAT is a sweet celebration that I love having in my days: being able to create something for someone I love for no other reason than they are worth celebrating. Janet: My favorite aphorism in Honey in Your Heart is on p 21: “In the freshness of the dawn we see the truth, everything is possible.” I often wake with this excitement and knowing but I can lose it in a few minutes when I face my to-do list. I sense through this book and all your books, that you truly do rise in joy and possibility every morning. How do you do that? mary anne: The truth of this answer is that I do wake MOST mornings with joy. There are many contributing factors to waking up with joy and anticipation. I do my best to complete my top targeted items each day. I complete. I make a list of targeted completions for the following day. I live with intention. I forgive myself for any shortcomings, acts of commission or omission and I say good bye to the day. I let go. I make conscious nutritional food choices. I nurture myself. I move, or dance or sing. I create. I contribute to my health and vitality. I do at least one expected thing for someone else. I serve. I contact one person I love, admire or am friends with. I connect. On the days that I do not include most of the things on this list … I wake up absent joy. Janet: The one that made me laugh out loud is “I didn’t know I couldn’t, so I did.” There is such bliss in not knowing that something is “impossible” and then waking up and you’ve done it! What new and “impossible” things are you doing? mary anne: Due to a host of complexities, I have reinvented my lifetime body of work and have a brand new professional affiliation to make my cards and paper inspirations available in the world. (And that is: http://wp.appliedinsight.net) In addition to creating fresh and unexpected work, I have accepted the role of Art Director. I now work with other artists to bring their best work to the world. It’s like being a creative mid-wife. So, after 28 years of doing a single art element one way in the world, I am blossoming at all kinds of artistic levels. In a lot of ways it feels as if these last years were practice! Ah. Everything is practice, isn’t it? Practice at being the fullest and best of who we are. Janet: This book is such a call to walk life with a light trusting step and a sweet happy heart. Taking in your words and looking at your pictures, I feel that honey, that sweetness, oozing off the pages and into my heart. And if I’m feeling that way, then you must be soaring. What effect is this book having on you? What honey is continuing to flow? mary anne: It’s interesting, Janet, that you ask in this way. There has been a most surprising outcome of connecting at such a deep level to the joy and sweetness in my days. It’s an immediate and profound capacity to recognize when NOT to allow the honey to flow. One of my natural gifts is generosity. I’ve demonstrated an innate impulse to give since before I could speak. And with every gift, there is a downside. Or said another way, there is a spectrum of expression of any quality, skill or gift. I am now more inclined to graciously step away from circumstances, events and people whose priorities do not serve my vision. Notice I don’t say their priorities are incorrect. They are simply theirs, and different from mine. I become increasingly unwilling to compromise my work and vision with actions, activities and people that are counter-productive to what I’m doing. I used to incorporate compromise and accommodation into my daily systems…and now, holding to the sweetness of my days and intention to walk life full of joy and purpose…I am more likely to gratefully acknowledge the role, at one time, that such elements played in my life and learning… and move on. I let go and lean forward! So – for the sake of the greater outcomes, it’s become important that in some instances the “honey” of my life NOT flow. Or be invited or allowed to flow in a different direction. This is my Goodbye Season. Endings abound. My son is eighteen; it’s time for him to leave this house. My mother is dying; it’s time for her to leave this planet. And when she does, I’ll also be saying goodbye to the town where I grew up. My parent’s names on a tombstone will be our family’s last address in Marshfield, Wisconsin. My professional life is changing, too. Endings abound. Endings deserve attention — recognition that they are part of the cycle of existence. Endings are necessary and good, even when they are sad. Endings create the space for new life, new ideas, new experiences. The new is waiting, but first, there must be a blessing. Ancient fathers understood this. They put their hands on their son’s foreheads and pronounced a blessing. Without that blessing, the son would not — could not — leave. With the blessing, the son could step into the fray of life, knowing his family’s honor and love and inheritance are with him always. And so it is for my son. He turned eighteen last week. I gave him an avant-garde block print from an edgy London artist, a little money (that he says he might spend on a tattoo), and a ticket to New York. I saved the best gift for last. My blessing. This is how I said goodbye and sent him into The River of Life. Eighteen years ago today you entered life. For quite awhile prior we’d been having odd conversations, you and I, so you weren’t born on April 26th, it was just the first day we could see your perfect face. Your name till then was Alfie. As in, What’s it all about, Alfie? And we were certainly trying to figure out what it was all about. Me, hosting a soul who had chosen a forty-year old woman for whom motherhood was a distant, tiny, and quickly fading possibility, and big Jer (who before you was the only Jerry), a forty-one-year-old man who had never anticipated marriage or fatherhood. You certainly swept us into a new branch of The River of Life! A branch we were not paddling toward — not consciously. Maybe our eyes were on some other fork, but our souls must have wanted to go here because suddenly, there we were in the Family River. Thanks to you. Thank you for choosing us. In the end, despite the rapids and rain, I hope you’ll decide that you chose wisely. The trip has certainly been rich. You have been given powerful gifts by your father, gifts that you have taken, absorbed, and enriched. I’m confident he would be proud to say you stand on his shoulders and reach higher and deeper. If you decide to get that tattoo, you can put his insignia on your body and tell the world what it means: “A vote against boredom and mediocrity.” It’s clear that you are not going down the boredom river. You will not live a dull, safe, obedient life. I’m confident and proud of that. And mediocrity? No way. Originality? Yes. Intellectual inquiry? Yes. Imagination? Yes. Mediocrity? Definitely not. This is a big birthday. Even if feels like just another day. It is, nevertheless, a milestone. Eighteen is big and important. Everything is changing. There may be more change in the next few months than at any other time in your life. You are stepping into manhood, choosing your college, leaving home, entering the world of work, and embarking on your first single-handed trek through Europe. In the next year, you’ll make new friends, find your way in a new city, study at a level you’ve never experienced before, be inspired by real professors, and at long last, find your verbal and intellectual peers — people who will challenge your every thought and word. It may not happen right away, but over time, you will find your people, your place, and your home. You are ready. That doesn’t mean it doesn’t feel or shouldn’t feel scary. You are swimming out of the family branch of the river, and taking off down your own River Jerry. And, the truth is, you do not know what you will see or experience or feel. You don’t know what will happen in college, at work, or in life. You can’t see any further ahead than a few hundred yards. No one can. (Some people pretend they can, or convince themselves they can, but we are all equally blind to the vagaries and rocks ahead.) But the river knows, and its strong current is pulling you forward. And the urge to go is so much greater than the fear of the unknown. If it weren’t, you’d settle for safety, that mediocrity your father so abhorred. So, my job right now is to bless you and send you on your way. The river is waiting. You chose to be here; your soul has its reasons and those reasons will unfold. You are special, unique. There is no other G__ W__ K__ and no one else who can live your life or leave your footprints in the world. The world needs and wants and is waiting for you. It’s all going somewhere and makes sense at the end, but not at the moment you’re in it. Never at the moment you’re in it. Life is easier when you flow with it instead of fight it. This is simple to say and very difficult to do. It may be the reason we come. Bad things are good things. Twist them inside out and there’s good or wisdom or something that will fall out and make you say, “Aah.” But it does not follow that good things are bad. Good things are good. Because, in the end, it’s all good. Breathe. When all else fails, breathe. You are always blessed, protected, guided, and loved. I am always here for you, for support, love, a shoulder, an ear, a pocketbook. What I have, in the end, is yours. Welcome, angel, to the second phase of your life. You are ready. And I am ready to let go. The River is waiting. Go. Go make a difference in the world. And so he goes. Into his branch of The River. With a rich blessing on his head and in his heart. Although his father is no longer here to convey a blessing himself, I trust that I have spoken well for both of us. As I watch my son drift away, I whisper, “Goodbye my darling boy, goodbye,” and turn my face toward Wisconsin to explore the next phase in my Goodbye Season — goodbye to the woman who can never really die; she lives in my DNA. We all have our Goodbye Seasons. Some are more compressed. Some more dramatic. Some desperately painful. Some we resist. Some we embrace. But all changes are a death — a little death perhaps, but a death. All are a birth, too. Our job, I think, is not to struggle to figure the changes out. Our job is to bless the going and the coming. What do you do with regret? That should have been a clue. I was, I confess, a little miffed. Oh please, I thought, I’ve had my big forgiveness experience. I’m a bloomin’ queen of forgiveness. I lead people in deep forgiveness experiences in my courses. Surely, I’m not going to Montana to deal with forgiveness! I took the card out of the pouch and stuck it somewhere it in my office. My reaction should have been a clue. I should have listened to myself. The next morning, we learned about power by working with horse. The following day we learned about the opposite un-power of fish as we attempted to cast for mysterious and elusive trout. 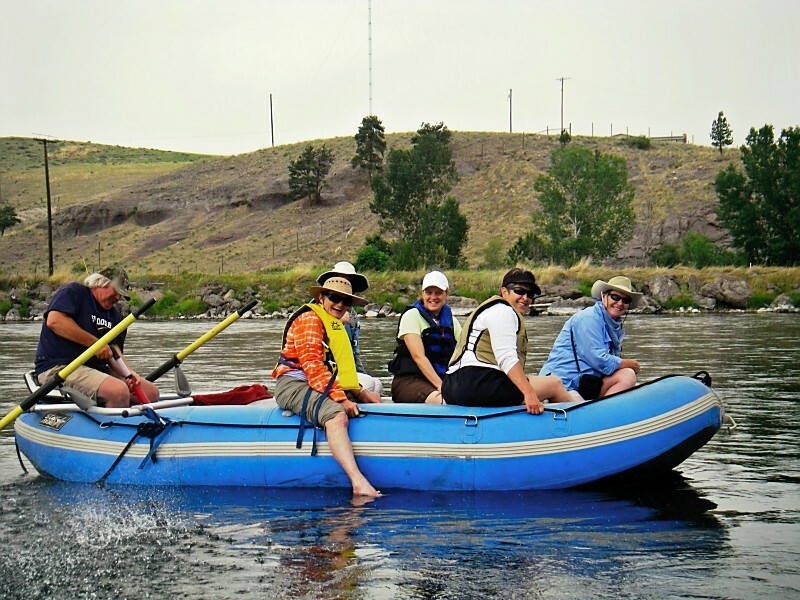 Later that day, we floated down the Missouri River in an Avon raft. I recognized the raft. When I lived on a sailboat in Oakland, we had an Avon raft. My husband said they were the best. Oh boy, lots more clues. As the day on the river ended, I realized my husband would have loved this trip. He would have loved fly fishing, and riding, and sleeping in a log cabin. He would have loved floating down the river in an Avon raft under the watchful gaze of eagle. Then, it dawned on me I was wearing the water shoes he gave me, the Tilley hat he insisted every sailor have, and schlepping everything in his treasured but weathered 1985 Ghurka tote bag. I was surprised to discover that I had unconsciously created an experience my husband would have loved. That should have been a huge clue. 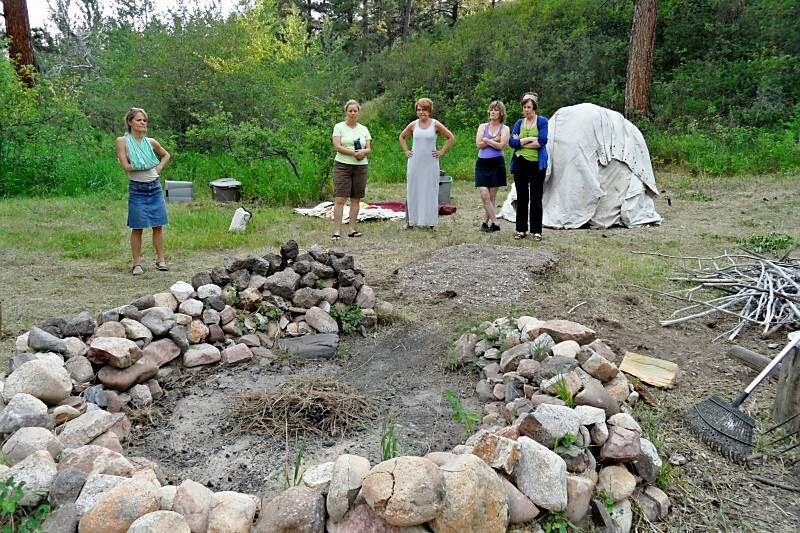 The next day we participated in a Chippewa-Cree sweat lodge conducted by a lovely woman named Lillian. In the lodge, she led us through four rounds of prayer. For each round, hot rocks were brought in and doused with water. In the rising steam. she led us in traditional songs and gave us the opportunity to say the names of people for whom we wished to pray. I spoke my son’s name in each round and many of my friends and partners. It was a beautiful experience and I felt honored to participate in such an ancient and holy form of prayer. That night I woke with a start. “Oh my God! Her name was Lillian!” In that moment, I knew why I’d created this trip. And I’d come within a hair of missing it. It was not an accident that a woman named Lillian conducted our lodge. My husband, you see, was adopted. He was thirty-four when he found his birth sister and thirty-six when he spoke to his birth mother. They were unable to make peace and he died carrying a great wound around being given up for adoption. His birth mother died a few years later. And her name was Lillian. 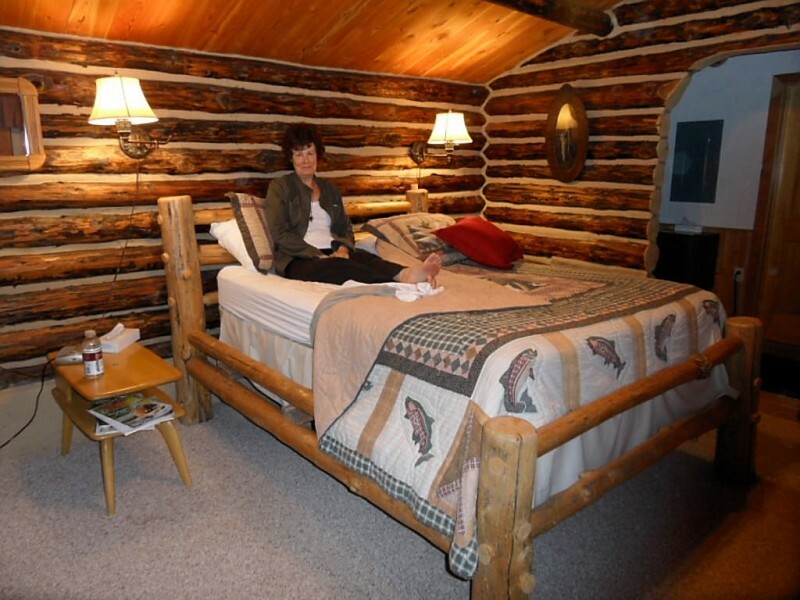 Sitting up in bed in a log cabin in Wolf Creek Montana, I knew that I had been handed the opportunity to bring both their names into the sacred space of the sweat lodge and connect them in the grace of forgiveness. But I blew it. But then, I stopped crying and remembered the great teaching of the angels in Check the Box, the course that brings us back in time to hear our soul’s purpose. The course ended just days before we left for Montana. The angels said that we can revisit any experience in our lives and make different choices. When we do, we literally–not metaphorically–alter the vibration of that scene for all time–past, present, and future–and we alter it for all parties concerned. I closed my eyes and went back to the lodge in my mind. When it was our turn to pray aloud, I spoke my husband’s name and his birth mother’s. The fourth and final round is all about forgiveness, and with tears dripping down my face, I brought their names and their spirits into the lodge and joined them in a total state of forgiveness. In peace, I fell back asleep. Instantly, I knew. There is only one moment in my life that I regret. And oh, how I regret it. It was the night my husband died. He’d been in a coma in ICU for a week. The hospital called late that afternoon to say they were moving him. After dinner, our son asked to visit his dad and I said, they’re moving him tonight, let’s go tomorrow. The next morning at 6:30 we received a call that he had died. I have regretted not going to the hospital for nine years. OK, I wrote. I will go back and redo it. Just like the sweat lodge and just the way the angels taught. On the page in deep soul writing, I relived the evening of October 5, 2003. When my son said, “Let’s go see dad,” we drove to the hospital. At the hospital, we found his new room. We walked in and saw him on the bed. We stood close together beside the bed and prayed aloud thanking him for the good he’d brought us and promising to hold only the good in our hearts. When my son and I felt complete, I blew a kiss and whispered, God speed. The next morning, the phone still rang at 6:30 and we still got the news that he had died. But this time I felt no regret. I had said goodbye and given our son the space to say goodbye. “Choose” is the operative word here. I have chosen over and over again to forgive, not only my husband, but anyone I think has harmed me. And thanks to heaven sending a woman named Lillian, I was able to bring two unrequited souls into the blessed place of forgiveness. And then, thanks to a broken tooth, I was given the opportunity to experience the next and even deeper piece in the fathomless journey of forgiveness: Regret Redo. Are there moments you wish you could relive? Are you willing to revisit them and choose differently? How is regret a living, if deeply buried, presence in your life? What impact is regret having on you, your relationships, your work, your creativity, your health? What do you think will happen if you consciously choose to forgive, and even redo, the past? Are you ready to enter into the profound state of Regret Redo? If not, why not? I invite you to enter into divine dialogue and ask these and other deep questions on the page. Then trust the Voice as it leads you into the profound experience of Regret Redo. Then, I invite you to post your experience here. Your words may change someone’s life. Blessings on you and all your experiences, yes, even those you regret. You haven’t heard from me for awhile. Taking a break is a giant no-no in the world of book marketing. But I think that’s a mistake. A big mistake. Marketing is necessary. It’s how new readers find me and old readers go deeper into the concepts I share. But, as much as I love communicating with you through my books, courses, events, newsletters, and social media, I know that silence, stillness, and solitude are necessary in my life. And not just in my life. I believe that silence, stillness, and solitude are necessary in any spiritual life. And what I want more than anything is a vibrant spiritual life. My own spiritual adventures are the source of all my books and ideas. And so, I have been quiet this July. And, don’t you know, as soon as I got quiet, the source fountain started bubbling over. It all began in Montana. 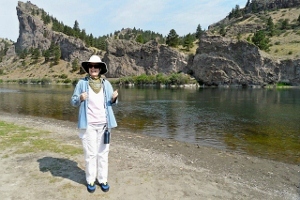 My annual soul-venture was a Soul Quest at the Blacktail Ranch in Montana. I stepped into this adventure the way I step into all my trips–in a complete state of trust. First, I trust Gayle Lawrence who designs all my trips. 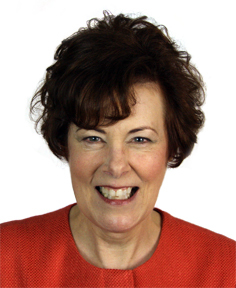 She is an expert in this field, having designed hundreds of spiritually stimulating Journeys of Discovery. I trust Spirit to attract the perfect group. And I trust that as the trip unfolds, everyone will experience exactly what they need, when they need it, and in the form they need. That includes me. I’m one of the travelers, too, and I know that I will be fed in ways I could never predict. That’s exactly what happened at the Blacktail. I have many luscious stories to tell you, but the one that wants to be told today is the story of the cave. What happened there may well be the most important message I’ve ever received. 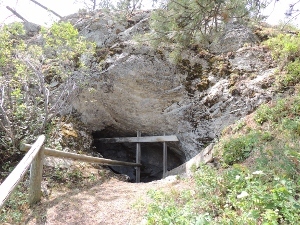 On the Blacktail Ranch there is an ice-age cave. The family protects it carefully and keeps it in its natural state. There are no railings, ramps or walkways inside. 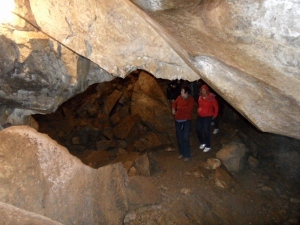 When you step into this glacial cave, you step into the womb of mother earth. To get in, we backed slowly down a straight twenty-foot ladder, then crouched down and stumbled forward until we reached a large wet rock. The only thing to do was get down on our bums and slide into the cave. But once we were inside and could stand up and look around, we realized we were walking where ancient brethren walked. They left petroglyphs and a bison and bear altar stone. They slept here, worshipped here, cooked here. We were on holy ground. We asked our guide to leave us alone in the dark for a bit. He left and turned off the gas generator that powers a few lights. It didn’t matter if my eyes were open or closed, but I still closed them. It felt more reverent. The cave was not silent. There were drifts of cool air and a chorus of mysterious drips all around us. I swear I heard a few stone groans. The rocks emitted a perfume that cannot be described. In the silence, I asked the massive stone ceiling above me, “Do you have a message for me?” What happened next is difficult, if not impossible, to describe. I am accustomed to “seeing” divine guidance on the page. I have also trained myself to lie still in that not-awake-but-no-longer-asleep state I now know is theta. In those precious moments, I know what it sounds like to “hear” guidance. And in yoga, I’m learning what it “feels” like to be still. At first, I thought uh no, rock, it’s you who are old. Ice age, glacial rivers carved you. I, on the other hand, am just 64. But I wasn’t about to argue with the bones of the earth. So I was still and allowed the rocks to repeat inside of me, “I am old. You are old.” After a few minutes, I realized that the pronouns had shifted, and the I had become me and the you had become the rocks. That’s when the wisdom burst open inside me. I sensed the rocks were smiling as they watched me awaken to a core truth. I am a soul. Souls are old. We know this. We say “immortal” soul. But think for a moment what that means. If a soul is immortal, it is old. Big old. Old old. Older than the rocks old. I was stunned by the depth of this wisdom. It is the first time I knew–and I knew that I knew–that I was a soul and my soul was in touch with all that is, even these elegant, eloquent, ancient stones. Now, I know that this is a truism and we speak this truism all the time. But saying “I am an immortal soul” is not the same thing as knowing this at the core of your being. Try it on for size. Imagine yourself in a Redwood forest or an ice age cave or beside an ocean. Picture yourself in your favorite natural setting. 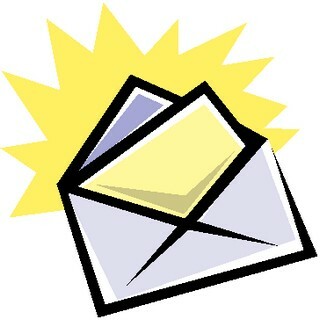 Ask for a message. Then, allow the tree or the rock or the ocean to speak to you. Perhaps it will say “I am old. You are old.” If it does, repeat it fifteen or twenty times and notice how you feel. Do you sense your soul singing in recognition? Then, from the soul level, sing back to your sister rock or brother tree, “I am old. You are old.” Or perhaps, your ancient friend has a different message for you. I’m going to post this newsletter on my newly renamed and renergized blog, “soul sparks.” (That’s a message from the Blacktail, too, but I’ll save it for another newsletter.) After you’ve had your own “old soul” experience, please add a comment about what happened. We’d love to hear. From this old soul to your old soul, I wish you a space of silence, stillness, solitude this summer so your soul can step forward and sing to you. Perhaps it will sing a song of creativity. If so, my two courses on creativity are about to begin. Plug In for Writers if your soul longs to sing in words. Plug In for Expressive Souls if you want to see with the eyes of your soul, hear with the ears of your soul, feel with the skin of your soul, and know–and know that you know–with the mysterious essence of your soul. Come play with me. I can’t predict the outcome, but I can guarantee a glorious adventure into the wisdom of your beautiful old soul. I’ve been a bit of a Scrooge this year. I announced to my family and friends that I was bowing out of the whole present obligation thing. One brother said, “Tough, I’m sending you a present anyway.” The other said, “Thank God, I’m not doing presents either.” If it weren’t for credit card miles, my son wouldn’t even be getting a present. 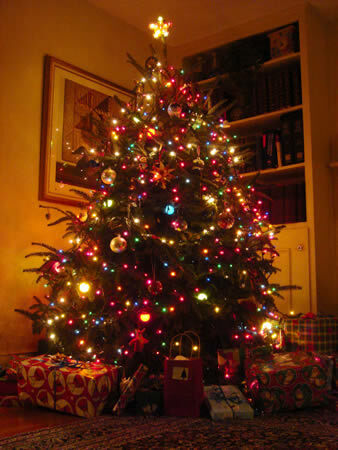 I’ve planned no humongous dinners, no holiday get-togethers, no eggnog, no Christmas cookies, no red and green candles. But I did do one thing: I got a tree. It killed me to drop $70, but I had to have it. I can’t explain it, but I love a real Christmas tree. I love the little white lights — the more, the merrier. I love the glass icicles I carefully position in front of the lights. They remind me of the beauty of the real thing back in Wisconsin. Most of all, I love reliving the history — my history — as I take out each ornament: the hand-painted porcelain German bell my acting friend Alice gave me in 1976 when I left Los Angeles and my acting life behind, the delicate Dansk animals I bought in 1984 for our first Christmas in Florida, the ridiculous elf with “baby’s first Christmas” painted on his belly, the 1992 Waterford crystal stocking commemorating the year my father died, the ornate red ball with my son’s name in gold glitter marking the year I was confident that life could only get better and better, the mercury glass moon I bought the first Christmas on my own, and my favorites — the ones my son made in nursery school. I love them all, but the heartbreaker is the piece of green burlap with his tiny hand stamped in red paint. I cry every time I put it on the tree. When I’m finished, I cap everything off with the weathered, red and white striped bows that I’ve tied on the tree for over 20 years. Each year I tell myself, “You know, you really should get new ribbons,” and each year I stand back, look at the finished product, smile, and think it’s perfect just the way it is. But this year I couldn’t bring myself to decorate the tree. For ten days, the 7-foot fir stood forlorn and naked in its stand, challenging me to get off my duff. Finally, on Sunday, I put down The New York Times and said, “OK. This is it, Janet. Just get it done.” I didn’t put on any carols or pour myself a libation. I just circled the tree in my bathrobe, cursing the knots in the lights and fuming about the whole stupid Christmas thing. I was happy, but I refused to label this good feeling “Christmas.” What’s the matter with me, I wondered. Why can everyone else say “Merry Christmas” with a genuine smile on their face, but I choke on the words? Because, I thought, Christmas has been hijacked. It’s been hijacked by the world of commerce. That’s painfully obvious. But it’s also been hijacked by the fundamental Christians who think they have the right to shove Jesus down the throats of the non-Christians in America, despite our essential foundation as the one country in the world where religion does not dictate or supposedly even influence government. Our predecessors fought a revolution for that principle. Where did that promise to one another go? The original Americans, the Native Americans, obviously didn’t know or care about Jesus or Christmas. And the early Pilgrim settlers looked down their dour noses at any foolish frippery like Christmas. When Charles Dickens wrote “A Christmas Carol,” Christmas Eve was just another workday. This whole Currier and Ives image of the happy family at Christmas is a Victorian creation, introduced not so very long ago. I decided to dig into this whole Christmas thing. Just what is Dec. 25, I wanted to know. Well, in Roman times it was the culmination of a week of revelry honoring Saturn, the god of agriculture and sowing. Romans would have a wild time during Saturnalia, allowing slaves to debase their masters, eating and drinking to excess, and hitting the temples to honor Saturn. Scroll ahead a few years, and the Zoroastrians are honoring Mithra on this date. Mithra was the enemy of darkness. He protected souls on earth and, when they died, accompanied them to paradise. Mithra, like Saturn, was a god of prosperity. Dec. 25 was also “The Nativity of the Sun,” a celebration of Sol Invicta, the invincible god of the sun. Before any of these, of course, late December was the ancient celebration of Solstice, honoring the miraculous continuation of life despite the apparent death of the earth. Given all the delightful pagan fun happenings on and around Dec. 25, it should come as no surprise that the early church fathers hijacked that date and turned it into Jesus’ birthday. Why not? They had a church to build, and they were building it on the idea of Jesus as the son of God, the “light of the world.” How better to reinforce that idea than to commandeer all the celebrations of the light of the sun? Jesus wasn’t too keen on people honoring or worshiping him. He kept saying he was the “son of man,” not a god. But he did enjoy a good time. It seems that in every other story in the Bible Jesus is with friends, and often eating. And we know he went to a wedding and, when necessary, fed a few thousand people. So, I’ve decided Jesus would approve of my idea: I am going to celebrate all the Dec. 25 holidays. At my house it’s Solstice and Sol Invicta and The Nativity of the Sun and Christmas. Plus, let’s not forget Hanukkah, the festival of lights, which just ended; Kwanzaa, a smart new holiday; and Eid ul-Adha, which begins on Dec. 20. Why not? The message of all these celebrations is the same: We humans are connected to and protected by an all-powerful, all-loving, all-giving God — a God of light and life. Whether you see that light as the Sun or the Son, or any other name, doesn’t really matter. Late December has a rich history of humanity’s desire to touch the unfathomable. I ask you to join me in this spirit and honor the light — all the light. How does The Lotus and The Lily process work? I know it does. I’ve lived it for two years. This coming January 1, I’ll create my third Intention Mandala and I know today without a doubt, that the result will be a 2012 I will love. And I’m not the only one. 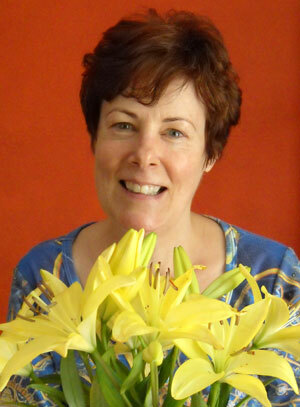 Hundreds of people who have gone through The Lotus and The Lily telecourse have shared their own miraculous results. But knowing something works and understanding how it works are two different things. If you’ve been following me for a while, you know that I’ve struggled mightly with prosperity and attraction. Like everybody else, I was impacted by the popular literature on changing your thinking and asking for what you want. I listened, learned, and tried. But despite my best efforts, by November of 2009 I was bankrupt. It hurt, but I made an appointment to see a bankruptcy attorney the next February. In the meantime, I picked up a pen and demanded help. I received instructions on what to do during the four weeks of December. There was one creepy caveat: I was to blog every day, letting the whole word peek into my spiritual pain and practice. I didn’t like that part. But I did it. Please understand that I did not clearly know what I was doing. The process did not come from anywhere inside my conscious mind. And I couldn’t find anything like it in the literature. And, I confess, I didn’t have any particular confidence that the whole thing would work. Bankruptcy was looking pretty final. But I couldn’t see any other option, so on December 1, 2009, I wrote my first blog. A month later, after thirty days of often surprising spiritual exploration, I woke on January 1, 2010 ready to call in a new year. I felt truly ready. I had made amazing discoveries in my month of preparation. I had uncovered hidden gifts in my past, become a real friend of ritual and prayer, emptied myself of any vestige of anger or resentment, and become clear on what I wanted next in my life. That morning, I felt a deep sense of peace and knew I was in God’s hands and all was well. But instead of starting my customary Soul Day process, I picked up a library book lying at my feet that was due the next day. Why in the world did I do that? Looking back I can only think it was an angel nudge. I lept out of my chair. My hand shot to my forehead. I raced in circles around the room gushing, “Oh my God! Oh my God! Everything we think we know about the Law of Attraction is 180 degrees off.” Every fiber of my being vibrated in recognition of Truth with a capital T. In the time it takes to read eight words, I knew why I hadn’t been able to create the life I wanted: Because it isn’t about asking for what you want! It’s about creating the fertile conditions that automatically and naturally produce all you want and more. There’s a BIG, BIG difference. A few days later, I went hunting for what Jesus might have said on the same topic. I was pretty sure the two great spiritual masters wouldn’t teach two different things. In a word, it’s not about asking for anything; it’s about creating conditions. In the two years since that morning, I have embraced Buddha and Jesus’s teachings on conditions. I’ve taught The Lotus and The Lily five times, and written the book proposal. But there was a part of me that still didn’t really grasp just how profound the differences are between the Law of Attraction and The Lotus and The Lily. That’s just a taste. The differences are endless. Now, this doesn’t mean the Law of Attraction is wrong. It simply means that we’ve been focused on only a tiny corner of its true power and capacity. Jesus said, “everything you need” will be supplied by the universe. So why ask for this or that when if you put your energy into creating the conditions of your life, the universe will send everything. In these past two years, I can certainly attest to things and people and opportunities coming my way that I didn’t ask for. It appears that a greater consciousness than mine knew I needed them and sent them effortlessly to me. My job, as I see it, is to say thank you and use everything that comes to me to fulfill my purpose. So I say thank you to Jason and the angel that sent him. Thank you to Thich Nhat Hanh and the angel that nudged me to read his book. Thank you to Neil Douglas-Klotz for a lifetime of research into Jesus in Aramaic. And I say thank you to the hundreds who have joined me in this great adventure. If you’ve been wondering what lies BEYOND the Law of Attraction, please come join me on November 21 for the only presentation of The Lotus and The Lily before the book comes out next year. I cannot wait to stand beside you as you too discover just how rich and delightful life can be beyond the Law of Attraction.